What have we been up to over the last 3 weeks!! It seems a long time since I've let my fingers skip over the keyboard to keep everyone updated on what we've been doing since we got 'home' - and where is home - at the mo it's a certified site called Butterley Bank that lies between Ripley and Swanwick. And although it's quite basic (no electric or showers and only a questionable outside loo), it has proved an ideal location for visiting all our family and friends, and one I'm sure we'll be coming back to in the future. So what have we fitted into our sojourn here? 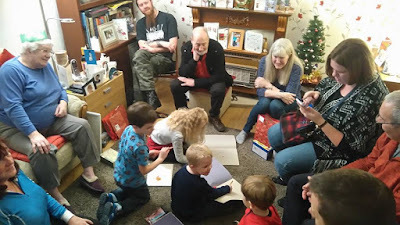 Well it all kicked off on the 29th of April with a party at John's Mum's House to celebrate her birthday, and also to welcome Val and John (daughter and son-in-law) into her home as new house mates! Nearly all our family members were there and it was lovely to see everybody - especially the new babies! Then it was a round of family visiting which allowed us to spend some quality time with our children and grandchildren, and I think it's safe to say we've all thoroughly enjoyed getting reacquainted and playing games together! wake up call nearly every day! 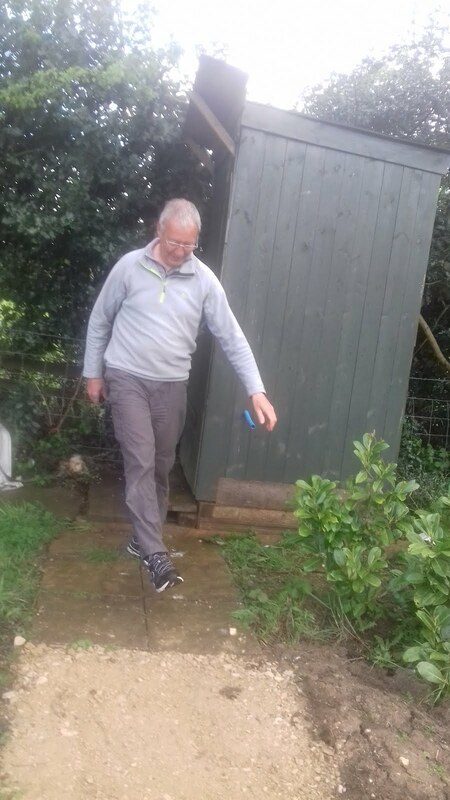 Also amongst all the visiting, John has found time to finally fix our inverter so we now have limited 240 volt electric power even when we're off grid! And I've treated myself to lunch out with my very dear friend Sandra, and also managed to fit in a visit to the Spa at Centre Parcs with my Bessie mate Sharon and daughter Sarah! We've also done a bit of 'babysitting', some wining and dining with very special friends, lots of shopping for essentials - especially after I accidentally 'boil washed' a load of clothes while we were in Holland (I'd swear the instructions were in Double Dutch! ), and occasionally we've even found time to chill! But the weeks have just shot by, and now it's time for us to set off on our next adventure which will be an 8 week tour of the 2500km of Ireland's Wild Atlantic Way! But this trip has a bit of a deadline cos we have to get back for a very important wedding! But even so, our plan is not to rush - we may or may not get all the way along - but if we don't that will be an excellent excuse to go back on another occasion to finish it off.